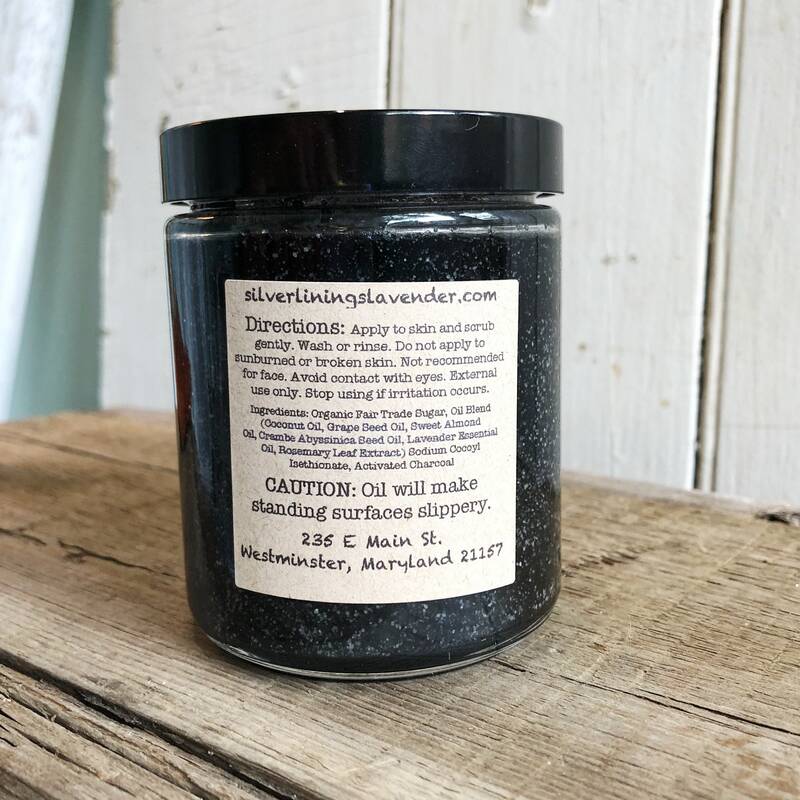 This listing is for one (1) 8 oz jar of Lavender Activated Charcoal Sugar Scrub. 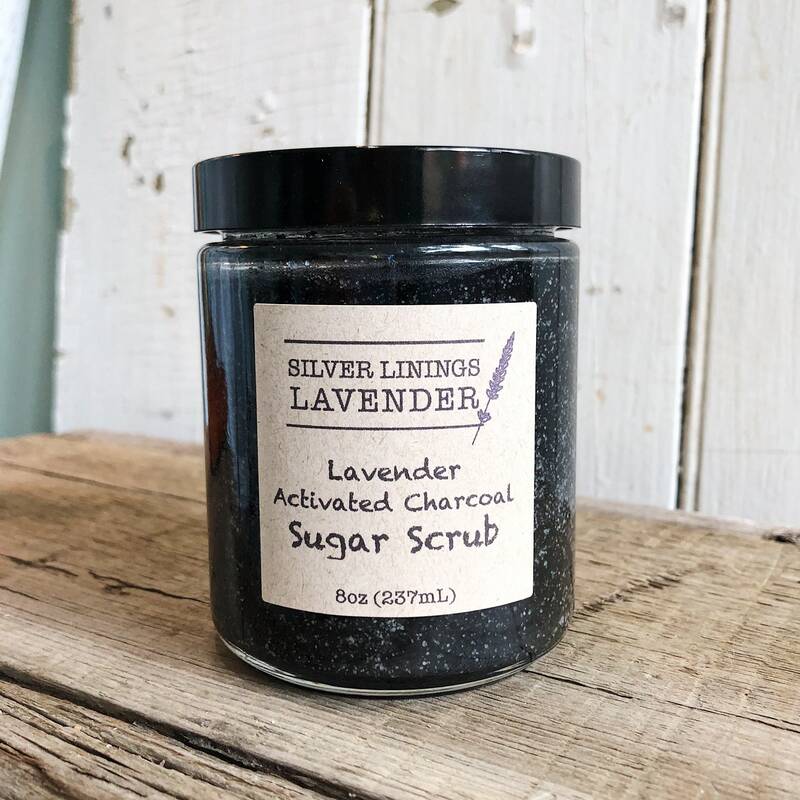 Infused with fresh, vibrant lavender, and natural charcoal, this product has many beneficial properties - our sugar scrub is a wonderful exfoliant that helps to get rid of dry, dead skin cells, revealing a beautiful, luminous finish. Our activated charcoal products are also amazing at washing away all the dirt and impurities from skin, and the lavender infusion helps to reduce blemishes. This is the perfect sugar scrub for anyone with oily or acne prone skin; the best part is the naturally amazing lavender scent! Directions: Apply to the skin and scrub gently. Wash or rinse. Do not apply to sunburned or broken skin. Not recommended for face. Avoid contact with eyes. External use only. Stop using if irritation occurs. Use with caution as this may make surfaces slippery. This product has not been evaluated by the FDA and is not intended to treat or cure any medical conditions.